It’s been an absolute joy to be involved with the With One Voice Festival and Summit over the past month, and the Festival itself last week. 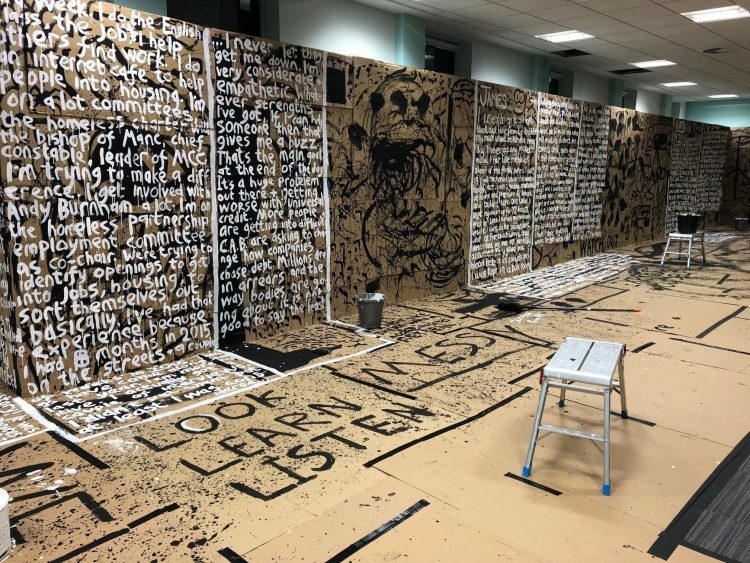 250 delegates from 15 countries gathered for a 4 day summit at the Whitworth Gallery to explore and celebrate the role the arts can play in tackling homelessness. 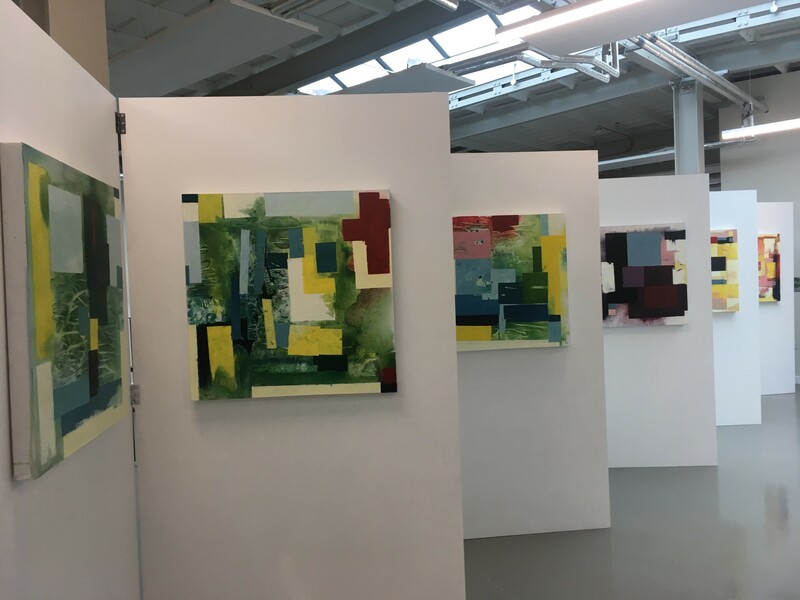 Our Freedom volunteers have got involved in many projects and events that show the importance of the arts to us as a charity, to the city and to the people involved who have experience of homelessness. The arts are so effective to share stories and promote understanding of homelessness and enable people with experience to express themselves. From hosting a play, drama performances, music, costume making and story sharing there were so many amazing experiences involved. Mustard Tree hosted a run of performances of The Political History of Smack and Crack throughout this month. 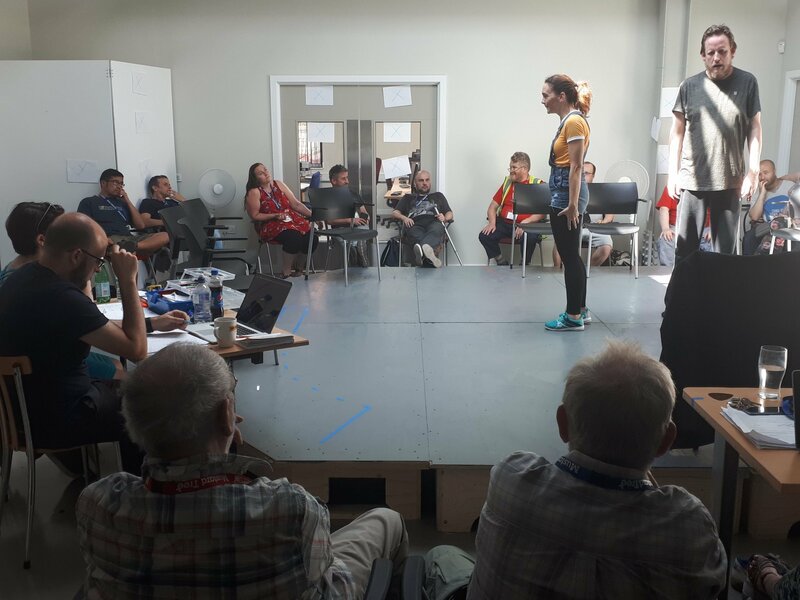 Our drama group, Tandem Theatre also created and performed a curtain raiser to a closed performance on Saturday 17th to 45 international delegates in the audience. We also hosted the closing party on the Saturday evening, with music and spoken word performances, to also celebrate the launch of a new cultural partnership for the city – Manc Spirit. An exhibition of new abstract work called Unseen by our Creative Programs manager Graham Hudson. He created a continuous painting in 10 segments, which could also all stand alone, an expression of “time and action in my mind”. 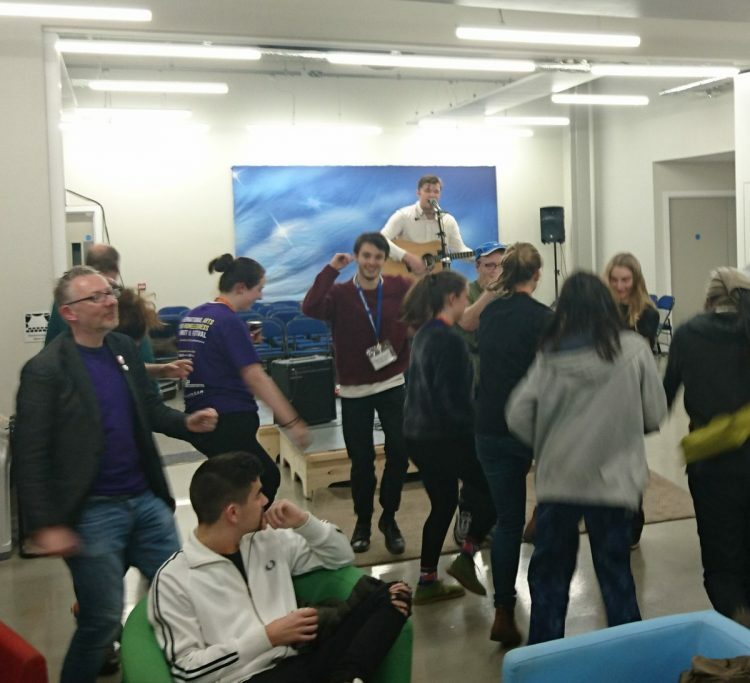 It was fantastic to invite so many new people in to see our building and find out more about our work. 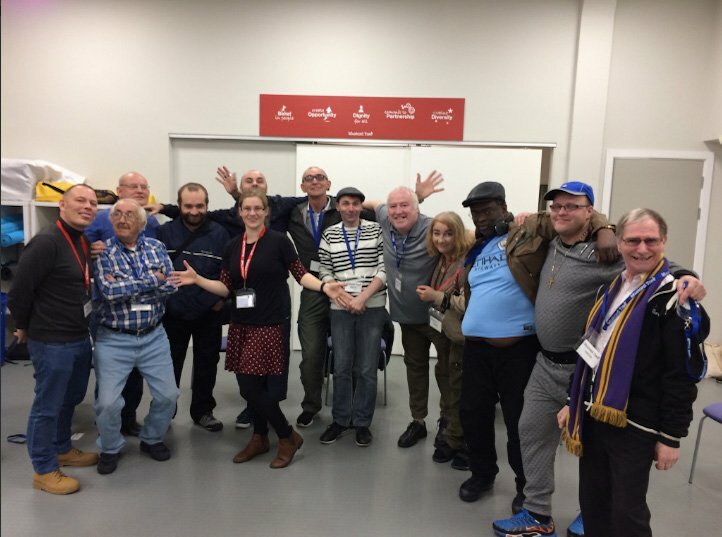 We also had costumes our volunteers had made finally fully revealed with a performance of Man on Bench written by David Tovey from his own experiences of homelessness. We hosted many workshops to prepare these costumes for the models and performers involved and they looked amazing on stage. 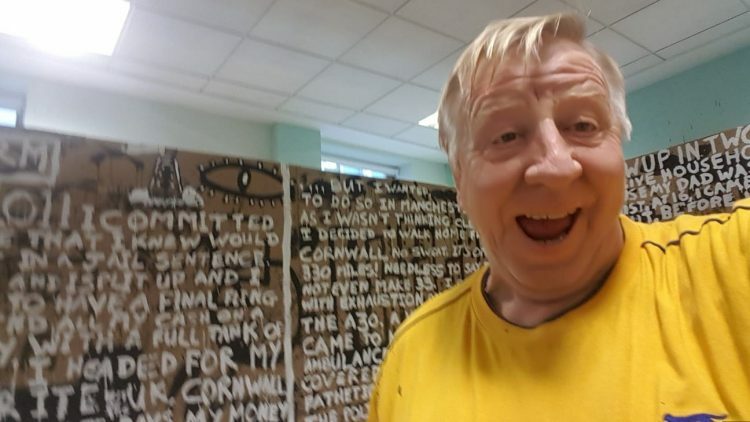 As part of With One Voice Arts and Homelessness Festival, Norm and many other Mustard Tree volunteers are continuing the legacy of the Manchester Street Poem from last years Manchester International Festival. The poem has an ongoing legacy, as a growing collection of people and stories that know what it means to experience homelessness. The goal is to create a shared understanding by sharing stories. Last weekend, we welcomed people into the exhibition to read people’s stories, step inside the exhibition and see the world through other’s eyes. Many of our volunteers were included in this and through their stories, we strive to understand homelessness together. The exhibition will be reappearing next summer as part of Manchester International Festival 2019. Norm came to Mustard Tree a few months ago after experiencing isolation, homelessness and struggling with his mental health. Now, as one of our Freedom Volunteers he has bravely shared his story as part of Manchester Street poem. Happy New Year: January good news!